Yes, that is Android 1.6 you see running on this "cutting-edge" piece of technology. Seriously, they couldn't even get Gingerbread? And yes, the screen is supposed to be that aspect ratio (it's 7 inches). But hey, at least it's a touch display (we think), and you can rotate the hinge on it all the way back, so then it's like a tablet (how's that work with a keyboard on the backside...?)! Nifty. So you're probably thinking, then, that this laptop is one of the stupider things you've ever seen to come out of an electrical engineering lab. Yep, it probably is. To be fair, though, this is definitely a prototype, as shown by the stickers laid haphazardly over the keyboard. 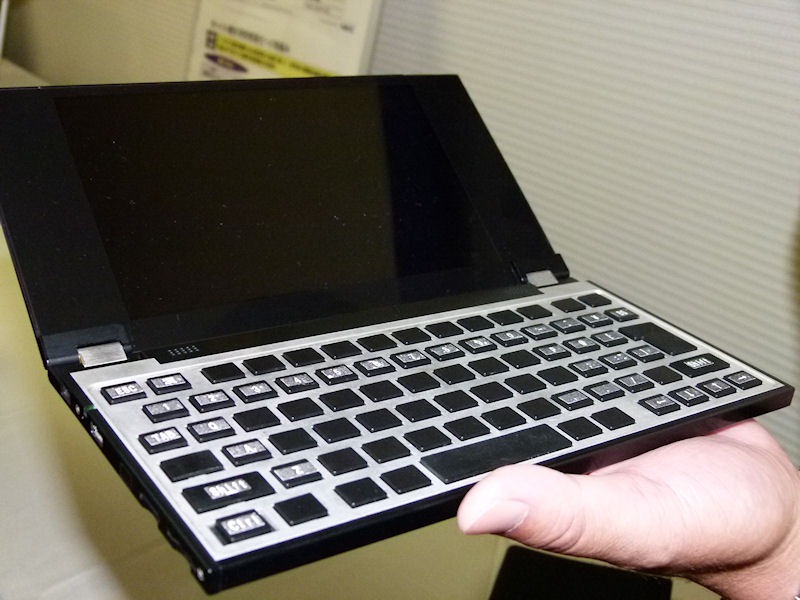 To add to the hilariousness of this laptop's already kind-of-sad existence, NEC claims that it won't be ready for commercialization until 2013. Hopefully by then they'll have made some progress in the software arena. And have upgraded every piece of the internals, since they'll be woefully outdated by that point. Basically, the only thing worth keeping here is the idea. And we're not even sure that's worth keeping. 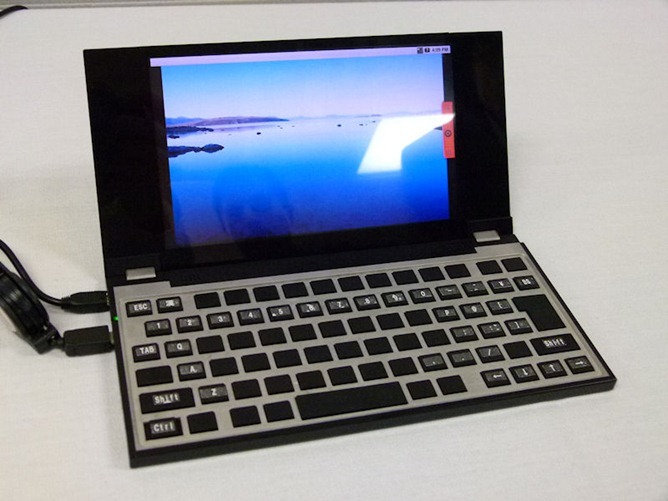 Presumably, this device is meant to occupy the fast-dying market for netbooks, which is slowly being crushed by tablets, smartphones, and the universal realization that netbooks are generally cheap pieces of plastic crap. NEC's estimated retail price for this piece of work when it maybe plans to sell it? 80,000 Japanese Yen, which translates to over $1000USD. They're going to fly off the shelves. Of course, something like this would almost certainly never make it to US shores - it's way too weird and eccentric and, well, Japanese. Anyways, the point of my griping is this: manufacturers that use Android as a gimmicky buzzword at trade shows and press events for tech journalists to fawn over annoy the ever living crap out of me. "Look, it runs Android!" Great. So does an HP TouchPad. And the sad part? The TouchPad probably runs it better. NEC, I know it's a prototype and all, but could you at least be bothered to change the stock wallpaper?